Winter is very unbearable in the whole United State of America. No one would like to be cold especially when it’s windy. You cannot ignore the cold weather when you are addicted to hunting, skiing, running, and camping. One cannot dare to get out their hands from pockets. But, what to do when you cannot get warmer even after wearing warmest mittens? Here comes the answer. With the help of hi-tech and science, you can warm your hand by investing in a small hand warmer. Using hand warmers is a more natural way to warm your hand. They are small enough to tuck into your gloves or pocket. As a result, they make your hand nice and toasty. They are so comfortable to use that you don’t need to inhibit your outdoor exploration. But, how do you know which hand warmer is suitable for you? That’s where we come in. Here we came with a list of 10 best hand warmer which you should consider once. Whether you are trying to get your key in the door or trying to trigger the guard while hunting. A hand warmer is essential in all that case. They keep your pocket toasty warm where you need it most to make sure fingers stay functional. In a word, they are a lifesaver on these coldest days. There are a ton of options available, so it becomes hard to pick one among them. They are not cheap either, so you need to make sure that you get the best value for the purchase. We picked up ten best hand warmer which can be used for many years. They all suit any taste or budget. Read on to know more about them. 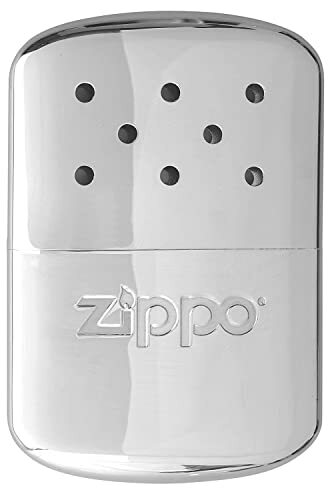 Zippo refillable hand warmer is being on the top for long because of the reusable design. When you need a long run, and you are out of electricity, then Zippo is an excellent option for you. This catalytic hand warmer runs on lighter fluid and needs a flame to get started. Fill the warmer with liquid fluid then slowly pour the content of filling cups into the filling hole. It provides flameless heat while maintaining safe and gentle warmth. This portable hand warmer is very thin so you can place in tight pocket and gloves. The rugged metallic construction makes it more durable and suitable for outdoors. It fits into your small pocket for any event because of the shiny design. Also, the warmer is virtually odorless because of the construction. It is perfectly safe in spite of having butane in it. It can provide heat for 6-12 hours once it is turned on. The overall refill process is so easy that takes few minutes. This flameless warmer offers 2.5 times more warmth than disposable. The price is also reasonable at a time. So, there is no better option than this. This hand warmer is a must-have because of its strong double-sided heating. Human creation hand warmers are leading the market with their consistency. Where electric warmer needs an amount of power, but this one can be charged even using your gadgets. 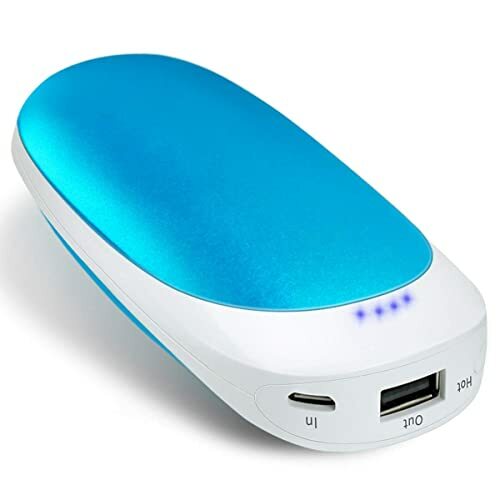 This single device features a USB gadget, a hand warmer, and a LED indicator. Besides, it features an easy-to-grip shape and size with enough battery power. It has two temperature set-up option for your convenience. This ready to go hand warmer makes your hand warm and comfy in no time. Its excellent battery power provides the heat up to 6.5 hours on low and 5 hours in high. You can turn it off once you are warm enough. Its LED flashlight indicates the temperature level that works with a single button. It also shows the battery remaining time. Also, the USB port allows you to recharge it through power bank. So, electricity is not mandatory for a long trip if your power bank is charged enough. This beautiful hand warmer comes at an affordable price. So, buy now before stock out! Another hand warmer from Human Creations in the list. Similar to the previous one, it has all the features except the flashlight. It’s the best choice for people who want to fight off the cold. This warmer is powerful enough to outlast daylong by keeping you away from cold. Similar to the Ellipse, it has a control button for more comfortable use than other devices with multiple buttons. The control button allows you to control the temperature conveniently. A lithium-ion battery can endure up to 500 recharges which is powerful enough for making a hand warmer more durable. Like ellipse hand warmer, EnergyFlux has a battery indicator. It indicates the remaining battery time as well as heat status. 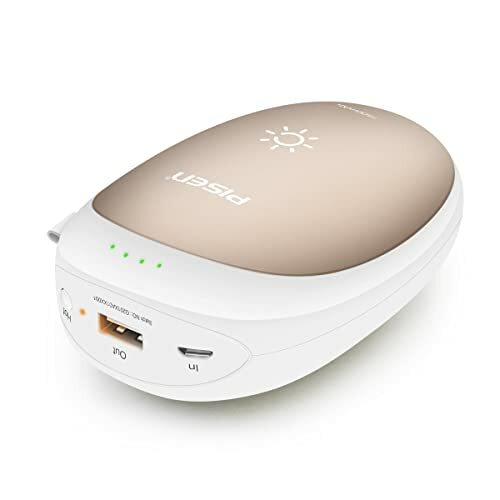 This hand warmer can be charged using a power bank or else any electronic gadgets. As a new edition, this hand warmer features a flashlight that is useful during night time. The powerful battery provides the operation for up to 7 hours. With all these features, EnergyFlux Enduro keeps you warmer than the competition. Never miss a chance to explore the outdoor because The Outdoor Wayis here to provide the privilege. Like others, they also provide the extreme comfort for your hand and feet. This design also includes a flashlight with SOS settings to keep you safe at night. This flashlight helps to light up the dark space and provide the signal for an emergency with an SOS strobe. The powerful battery stays charged for a long time. It makes sure that you are not the first one to go inside during an event. Its aluminum casing ensures the even heating in both sides. If you are Raynaud’s problem, then you will love these warmer. It’s an excellent solution for them as they struggle to go out. This electric hand warmer has the optimum heat settings for high and low temperature. The most exciting part is that they don’t require any fluid. The warmer includes a free velvet carrying pouch for easy storage. The overall construction is reliable and also comes at a good price. The most stylish one on the list is brought to you by PISEN. They won the ‘Red Dot Award’ for its elegant and innovative design and features. PIESN hand warmer is a perfect solution for outdoor enthusiasts and those who have a blood circulation problem. It has built-in smart IC that protect the warmer from over current, over charge, over voltage, and from short circuit. The warmer looks like a pebble which is fun to hold for long. It provides instant heat from both, and you can adjust the temperature. It allows the changeup to 122oF by changing the heat plates. 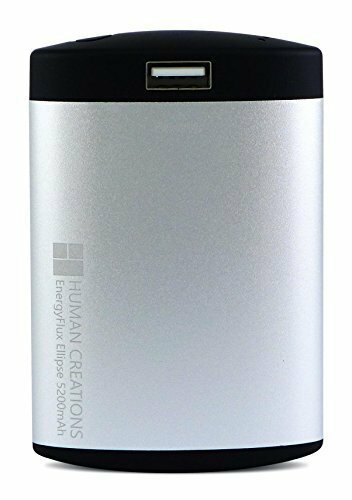 Similar to Human Creations, it has the power bank function. This body warmer includes a powerful rechargeable battery that lasts for hours. You can charge the warmer using your mobile charger. So, it is indeed easy to handle anywhere. The small and compact design fits in any pocket easily. You can also hold the warmer with one hand. The exciting part of the warmer is that you can use them while charging without any shock. Because of the smoother surface, you will feel good while holding. It might be the best gift for you near one because of the innovative design. This all in one hand warmer comes in a reasonable time. So, be relaxed while using it. Disposable hand warmers are very popular because of the easy functionality. They begin working once they come in contact with air. 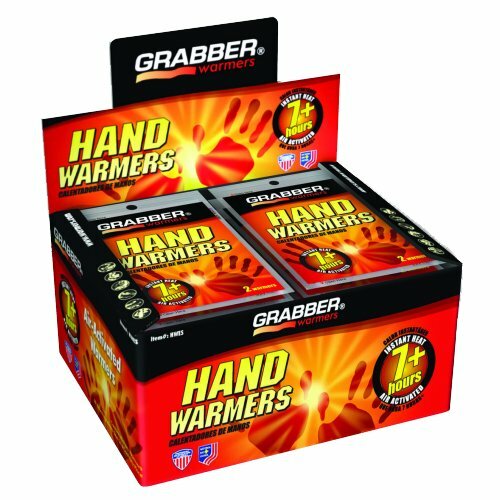 Grabber Outdoors has launched a heat pack that is ideal for keeping your body warm. These hand warmers can be used from head to toe. Such warmer usually contain iron powder, water, activated charcoal, salt, and vermiculite. That’s why these air-activated heat packs provide natural heat. You can either hold them or insert them into your gloves or pockets. They are also safe to use anywhere. Initially, it takes about 15-30 minutes to heat up. But once they get warm, it will work for almost 7 hours. If you feel the heat is going down then take then in air contact and shake.Once you are finished using then dispose of it with regular garbage. These are the most natural hand warmer among all in the list. So, there is no reason to worry about charging or maintaining. This warmer is odorless, and it is designed for single use. That’s why this is the best option for hygienic people. Since they are the best option for an outdoor enthusiast, don’t hesitate to cheer on your favorite event. For a disposable pack, the price is also no too much. Try them NOW! Vshow brings a two-in-one hand warmer for those who struggle to keep their hand warm and toasty. 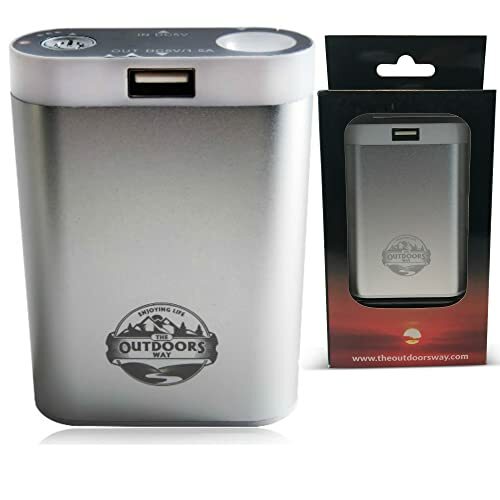 This portable warmer is most convenient to use for any outdoor activities even in extreme cold. The warmer has a single button that is used for turn warming ON and OFF. Hold the button for 3, and you are ready to go. Once you turn on the device, then set the temperature to low heat (113oF). The temperature can be set up to a high temperature of 131oF. You will love this double-sided heat. 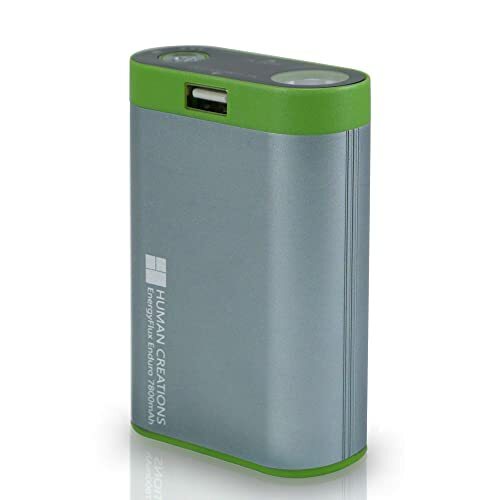 The warmer has a high power rechargeable battery which is made of eco-friendly polymer. It allows the charging through any mobile device charger. The battery charge lasts for about 6 hours. Besides, it has three indicators to keep you alert about battery remaining time and heat. The outer surface is equipped with high-tech aircraft-grade aluminum and ABS. So, the smooth surface is fun to hold. The warmer is also shockproof, explosion-proof, and radiation-free. It works as Power Bank at a time. The price is too low. So, it would be a perfect gift idea for the whole family. When you are using your phone for day long, then you must need a power bank all the time by your side. Well, in that case, how about using it for heating your hand? There is nothing better than that. 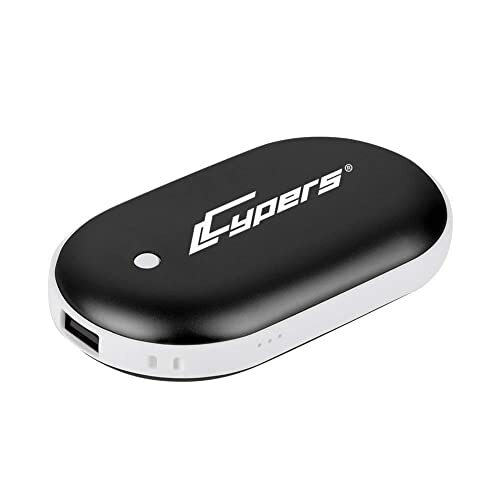 Like others rechargeable warmer, Cypers are also providing you that facility. This pebble-shaped hand warmer has both hand warmer and power bank in a single device. High-tech aircraft-grade aluminum and ABS material ensure the sturdy construction of the warmer. The device is anti-scald, anti-skid, shockproof, and radiation-free at times. It allows three temperature settings like low (107oF), medium (118o), and high (131oF). It takes only 3 sec to feat up initially. After turning on, it will automatically turn off after a certain heating point. The powerful battery can hold the charge for hours. You can recharge using any device charger. It has three indicator light to inform you about battery remaining time and heating status. The price is indeed within your budget. Want the effective hand warmer without hassle to electricity or butane? 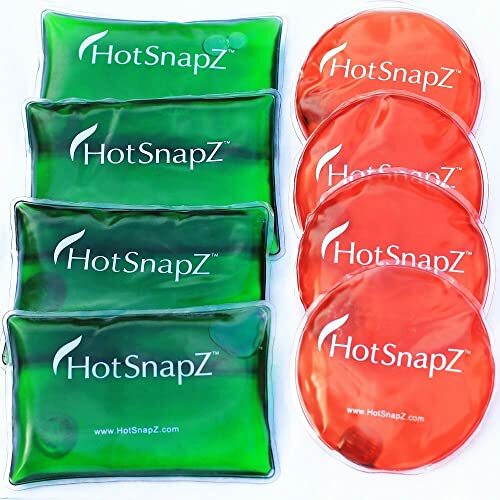 These HotSnapZ’s gel hand warmers are an excellent solution for you. They are powerful enough to fascinate most people. They are available at both square and round shape. The activation process is so simple for a gel hand warmer. You can reach up to 130o temperature with a click on a small metal disc inside the gelatinous pouch. By clicking on a metal disc, you create a flow within the chemical inside, and it starts heating up immediately. You can also control the heat by slow down the chemical reaction. Once activated, the square-shaped pocket warmer lasts for about an hour’s. The circular hand warmer last for about 30 minutes. The time is perfect whether you out for long. Also, they are portable so you can keep extra in your pocket. When you are done using one gel, then it allows you to recharge again. The process is also simple, boil it for 10-15 minutes into boiling water. Then cool it at room temperature, and they are ready to use again. The price is very low compared to the features. Last one list is another disposable chemical hand warmer from Heat Factory. 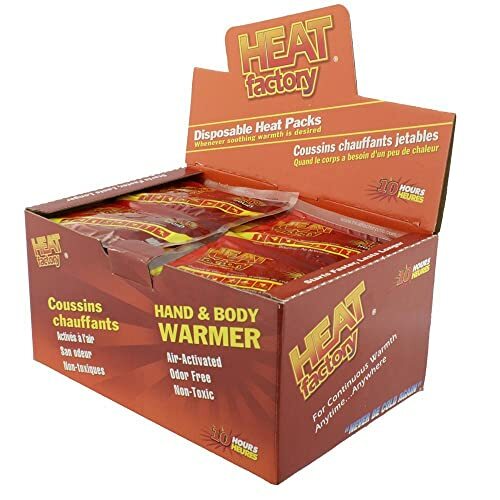 Heat factory is manufacturing hand warmers for years that is great for storing in the car. They are providing the privilege to people of using them in any part of their body. These non-toxic and odorless hand warmers are most reliable to use for hours. They contain all the natural ingredient and which is why they are comfortable to use. They start heating up once they exposed to the air. The oxidation process is taking place here for providing even heat. These warmers are so soft and lightweight that you’ll love to use them. Heat Factory continuously tests their product to make sure you get the high-quality warmers. It doesn’t require any electricity as they naturally produce heat. They are also equally effective for almost 10 hours. To use them for later, store them in an airtight container. Once you are done using then throw them in the regular garbage. For multiple pairs of these premium warmers, the price is very low compared to others. For the people who are struggling with extremely cold weather, there is a lot of suitable alternatives. Most of the people even don’t know anything more about hand warmers. Their mind only goes to small disposable pack but this not the only way. You will find different alternatives for hand warmers such as disposable, gel, and electric. We tried to cover all these types in our list of 10 best hand warmer. Before buying your hand warmer, make sure to match your needs with them. The 10 Best Hot Weather Hiking Pants in 2019 – Ultimate Reviews We know that walking is beneficial to our health.